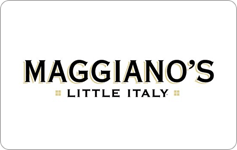 Maggiano's Little Italy is an American casual dining restaurant chain specializing in Italian-American cuisine whose goal is to make their guests feel comfortable to laugh out loud, reminisce and be indulged over their delicious food. 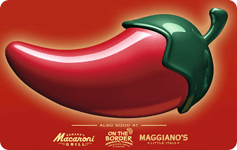 Your employees, customers and guests will relish a Maggiano's gift card. 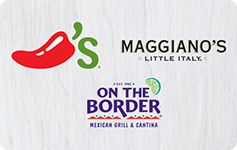 Maggiano's is a Brinker International (Chili's & Maggiano's) retailer.